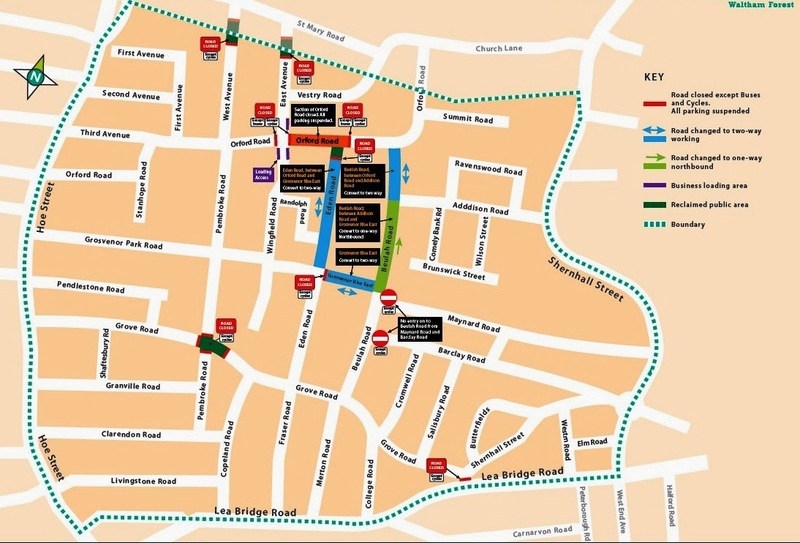 The main aim of the trial scheme (which lasts till 13 October) is to test the effects of preventing cars using the Village as a through route, so if you're on say Hoe Street and want to get to Shernhall Street your best bet is to go via Church Hill or Lea Bridge Road, and to get from Church Hill to Lea Bridge Road go via Shernhall Street or Hoe Street. if you have an ME residents permit you can park on streets nearby such as East Avenue or Eden Road. FROM CHURCH HILL - no access.